This economical Four Student Styling Island features a storage cabinet, tool holders, and an electrical outlet at each student station. 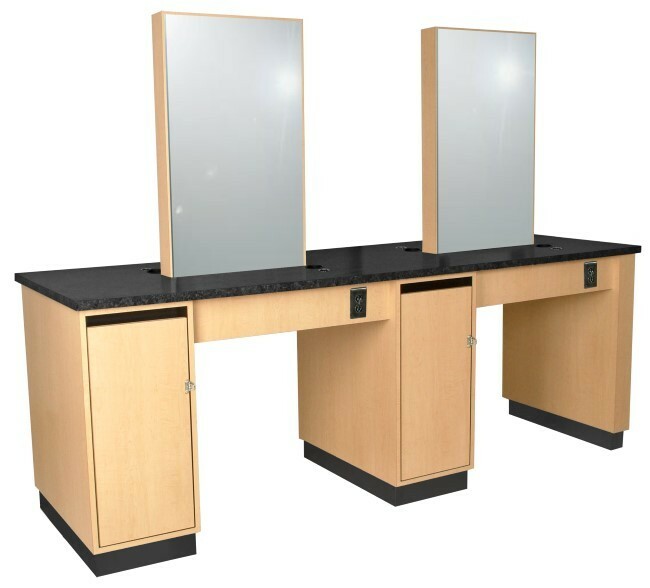 Includes four 18"W x 30"H mirrors. Overall 96"L x 32"D x 36"H x 72"H.
Choose standard color: Black, White, Fusion Maple, Wild Cherry, or Cocoa Maple. Or, special-order a custom color.